Less than two weeks after their NL Wild Card Game season came to an inglorious end, the Chicago Cubs have made some organizational changes. 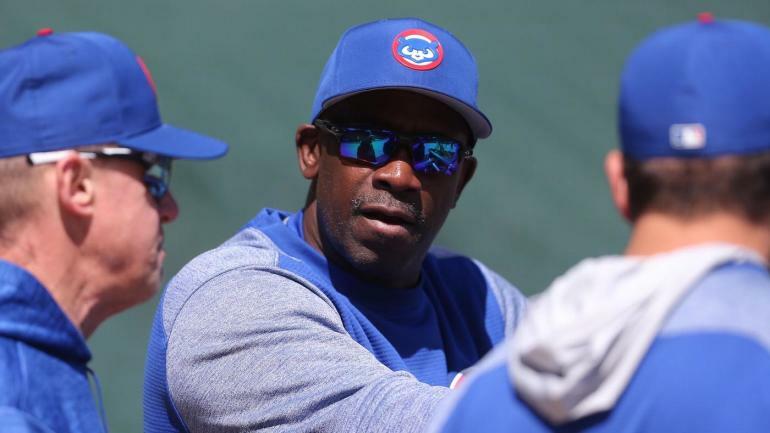 Thursday night, the Cubs have reportedly informed coach Chili Davis that he will not be returning the team next season. The club has not made any official announcement, although it is expected soon. As noted by our Matt Snyder the Cubs suffered from inconsistency and passivity this season. The Red Sox 2017 treated similar issues with Davis as a coach. Of course, correlation is not just causation, but there is a connection. Last season, the Cubs scored no more than a run in 39 games, one behind the 115-loss Orioles for the MLB leadership and far and away the most among contenders. Among the postseason teams are the next games with no more than one run 27 from the Brewers, the team that beat the Cubs in a Game 163 tiebreaker to win the NL Central. The Cubs reached 2017 with almost the same team as team 255 / .338 / .437 (99 OPS +) and averaged 5.07 runs per game. Chicago's season ended in the NL Wild Card Game as they scored a run in the 13-inning loss to the Rockies at Wrigley Field. Several Cubs players had on and off seasons on the plate, including Anthony Rizzo and Willson Contreras. Kris Bryant did that too, although he also had a shoulder problem. The Cubs have not yet named a new punch trainer – it takes at least a few days, if not weeks – and they have not announced any other coaching changes. Given their roster, the Cubs 2019 will again be among the World Series contenders. Now they have to find the right support staff.